The biggest technology show of the year is taking place this week in Las Vegas, Nevada. The show is called CES 2018. The Consumer Technology Association estimates about 170,000 people will attend. About one-third of them are reported to come from countries other than the United States. The show takes place every January. It was formerly called The International Consumer Electronics Show, or CES. More than 4,000 businesses are demonstrating products in areas such as gaming, self-driving cars, digital health, artificial intelligence and robotics. One of the biggest stars at CES 2018 is the voice-controlled digital assistant. While the technology is not new, many companies are showing off the latest in virtual assistants. Devices controlled by digital assistants – especially those activated by voice - were already big sellers in 2017. This year, Google, Amazon and Apple are expected to release even more products to keep up with rising demand. Digital assistants are powered by artificial intelligence and machine learning technology. They are designed to learn user preferences over time and then "think" and act on their own. Some of the biggest developments in technology have come in the area of home automation. Amazon Echo, Google Home, Apple's HomePod and Microsoft's Cortana are a few examples of voice-activated devices. All include "smart" speakers that "talk" to users inside the home and can perform operations. Experts with the Consumer Technology Association say sales of smart speakers are expected to nearly double in 2018, to $3.8 billion. "That market is not just heating up. It is a wildfire," researcher Steve Koenig told Agence France-Presse. The internet-linked products can play music or find information when asked questions. They can also control equipment such as lighting, cameras, televisions and temperature controllers. Among new "smart" home products to be released at the CES are voice-controlled washing machines, refrigerators, showers and toilets. Some businesses will demonstrate robots that are designed to help people do things or attend to their needs. New virtual-reality and augmented-reality technologies will also be shown. Many of these will be aimed at video gamers or sports lovers seeking to feel like they are more involved in the game. CES is also traditionally the place for major electronics manufacturers to demonstrate their newest televisions. In an effort to get people to buy, companies are continuing to advertise new technologies, including "4K," ″HDR" and "OLED." Many of the televisions launched this year will come with voice controls. The show also has many new physical fitness and health-related devices. Some are designed to help people create the best personal fitness plans to reach their goals. Wearable health devices are equipped to study and measure body conditions, while others help recognize signs of disease. Teachers have joined a strike aimed at forcing the government to pay overdue salaries and allowances. Financial Crisis causes the heating up of cultural consumption, which will enter a new growth cycle. She was skipping to keep up with him. 5.The partnership followed an announcement last year that Thai officials planned to ban street food sellers in Bangkok in an effort to clean up the city. 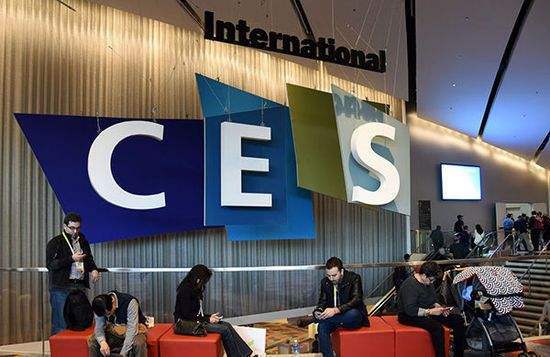 6.The biggest technology show of the year is taking place this week in Las Vegas, Nevada. The areas where the fighting is taking place are hilly and densely wooded. The conversation centred on the radical changes taking place in russia.